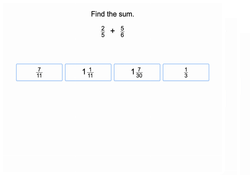 Students who complete this exercise will understand how to scale up their newfound ability in multiplying fractions. Teach your students to predict and explain features of scaled regular shapes. How much bigger is this shape? Or how much smaller? Get your students thinking and scaling regular two-dimensional figures using this printable worksheet.